I’ve learned my client’s needs are as unique as their fingerprints and my team and I work together to get to know my clients to best serve their needs and help them achieve their real estate goals. With my professional team and client focused approach to real estate, I’m honored to share that 2018 marks FIVE years as the NUMBER ONE Agent in Barron, Washburn, Sawyer and Rusk Counties. I’m proud to bring my real estate expertise and an entire team of real estate professionals to every real estate transaction. High quality client satisfaction, exceptional listing services, multi-tiered marketing and industry leading technology is at the core of my business model. In addition to real estate services, I’m also a successful Mortgage Loan Originator helping to better serve my clients needs through the entire buying or selling process. May I introduce you to some of the best professionals in the real estate community that I’ve hired to support the successful listing and sale of your real estate! Each of the professionals listed below play key roles in success of my office! 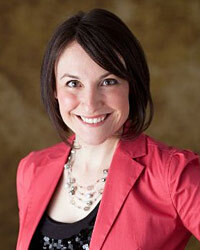 Emily is the full-time Client Services Manager and Sales Associate at Casey’s office. Every day Emily provides her professional support and years of experience in real estate to the clients of the Casey Watters Office at Real Estate Solutions. From arranging closings with multiple parties to keeping a tight schedule on target- Emily has it covered. Her wealth of technical real estate knowledge, attention to detail and ability to multitask many different aspects of a real estate transaction is an incredible strength to the clients and team at the Casey Watters Office. 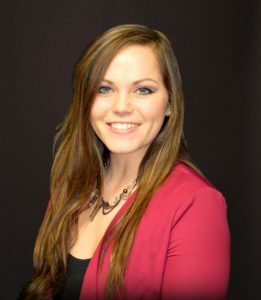 As a buyers agent on the Casey Watters team, Breanna Watters proactively manages and prospects the Casey Watters Office exclusive database to match real estate listings with qualified buyers. When positive matches are made, Breanna initiates contact with the highest level of professionalism and customer service. Breanna efficiently coordinates with the buyer’s schedules to arrange a time to showcase real estate listings to their maximum potential. Her ability to work with client’s schedules, valuable real estate experience, and market knowledge makes her a respected and trusted resource to Casey’s office and clients. Jaleesa’s primary focus is preparing and showcasing the active real estate listings of the Casey Watters Office at Real Estate Solutions. Jaleesa is a key point of contact for sellers and will help coordinate professional photos, compile vital information for the initial real estate listing, and helps facilitate all aspects of real estate listings in the Casey Watters Office. 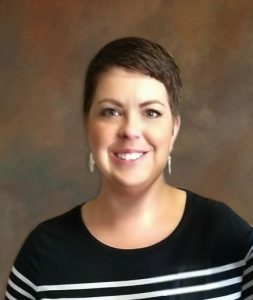 Her background in finance and administration, as well as her strong organizational skills are vital assets to the professional level of service from the Casey Watters team. As executive assistant to the Casey Watters Office at Real Estate Solutions, Shelby takes a passionate approach to keeping Casey’s office running smoothly. 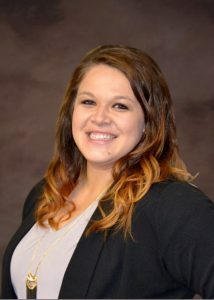 Shelby enjoys the fast-paced work environment of the real estate office and plays a key role in supporting the many administrative needs of Casey’s office. Shelby and her family are life long residents of the area, making it easy for her to connect and relate to the many clients that she talks to every day. 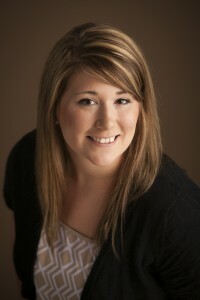 Her attention to detail and commitment to our clients makes her a valued part of the Casey Watters team. With years of multi-platform marketing experience, Sarah supports the marketing goals of Real Estate Solutions, as well as the real estate goals of individual agents at Real Estate Solutions. Her skills have evolved with the success of social media and mobile web communication and she’s excited to bring her experience to the real estate industry. Through multi-layered marketing channels and advanced marketing techniques, Sarah helps keep a broad audience engaged and aware of the premier real estate opportunities and exceptional real estate listing services offered by Casey Watters at Real Estate Solutions.